At Artik, we've been screen printing t-shirts since 1985. Over the years we've gained a reputation as Toronto's expert screen printing shop. Not only are we the best screen printers around, we're friendly, too! Interested in ordering some custom screen printed t-shirts? Check out our selections below and contact us with your design. Gildan Softstyle - Our Most Popular T-Shirt! At Artik, we've been screen printing t-shirts since 1985. Over the years we've gained a repuation as Toronto's expert screen printing shop. Not only are we the best screen printers around, we're friendly, too! Get Your Custom T-Shirts Screen Printed Right! Artik has been screen printing custom t-shirts for so long that we've gained a reputation - Our customers know that we get screen printing jobs done right and on time every time. We've been spotted screen printing designs onto t-shirts, sweaters and other garments on one of our three screen printing machines. Gildan, American Apparel, Bella, New Balance... What is the difference? Our suppliers include Gildan, Bella and American Apparel - three t-shirt companies that produce great shirts for screen printing. 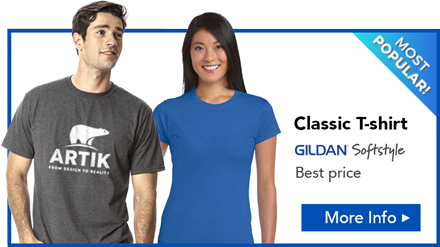 Gildan T-Shirts - Gildan t-shirts are affordable and they're quite comfortable. Gildan puts effort into environmental and ethical practices which we appreciate. We usually recommend Gildan to our customers - we've been screen printing on them for years. Gildan Softstyle Tees are our most popular custom printed T shirt for a good reason. 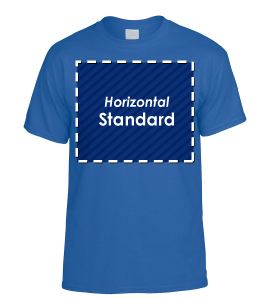 Gildan offers a high quality 100% cotton garment at an unbeatable price. Double stitched hems and preshrunk fitting provide the familiar comfort of this classic T-shirt. Men's, Women's and Unisex fits are all available through this trusted brand. For your screen printed Tees, go with a name you can trust, at a price you can't beat! Get your custom printed T-shirts right here in Toronto from Gildan! 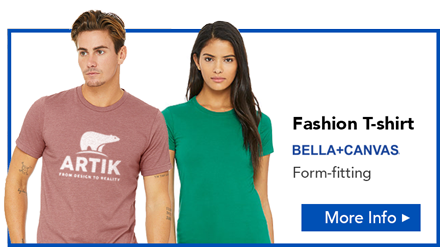 Bella T-Shirts - Bella shirts are super comfortable. The company is great to deal with and we can trust them to deliver your shirts on time. We recommend Bella if you want higher quality, tighter fitting screen printed t-shirts. American Apparel T-Shirts - Screen printed American Apparel shirts are fashionable and fitted, but a bit pricier. The company puts an effort into having happy workers and most of their t-shirt manufacturing is done in the US of A or here in Canada which is nice. New Balance Athletic T-Shirts - New Balance makes high-quality athletic shirts that breath and resist moisture. Perfect for the outdoor event or fitness related company. Our friendly Sales Reps will help you from start to finish. 1. Explore Artik.com to find a t-shirt you want to have screen printed. 2. Click Contact Us to reach our friendly staff. 3. Together we'll talk about t-shirt styles and sizes, screen print locations, establish deadlines and sort out other details. In order to create a beautiful screen print, we need high quality design files. 4. Check out our Art Guide to see what designs work best for screen printing. 5. Create your art file, or use the Design Online Tool to create a mockup. 6. When your design is ready, send it to us by email or through the Contact Form. Our experienced team will get your screenprinted t-shirt order done right and on time. 7. Our graphic designer prepares your artwork for screen printing by separating each colour and print them on films. 8. We print the separated colours as films. 9. We expose the films onto screens with a bright UV light. The light hardens the special emulation on the screens, the areas with the art on the film shields the screen, these areas remain soft. 10. Pressure-wash the screens to clear out the mesh. 11. Dry the screens and block out any pinholes. 12. Now we mix the inks to get the perfect colour. 13. 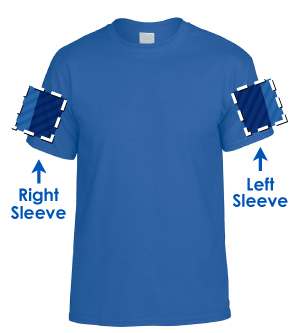 Do a screen print on a test t-shirt to ensure that everything looks good. 14. If the screen printed test sample looks good, we load the t-shirts on the pallet. A bit of spray glue helps to keep shirts steady on the pallet. 15. On our manual machine, the t-shirts are hand screen printed. For larger runs, our automatic machine screen prints the ink onto t-shirts mechanically. On dark t-shirts, we screen print some colours twice for extra vibrance. 16. We put the screen printed t-shirts through our dryer. This ensures that the inks are cured and that the screen print will last a long time. 17. Fold the t-shirts and box them up! Part 4. It's In Your Hands! 18. Now you can pick up your screen printed t-shirts or we'll ship them to your door. 19. If there is any problem, contact us and we'll make it right. 20. Please let us know how we did with a review on Yelp and on Google Plus. Thanks for choosing Artik Toronto! Welcome to Toronto's Custom T-Shirt Printing Shop! When you’re ordering custom printed shirts here in Toronto, you want to know a few things for sure. Are you getting the best price for your customized shirts? Are you going to get top quality fabric? Will your shirts arrive in time for your event, meeting or deadline? Artik is Toronto's trusted t-shirt printshop. In downtown Toronto, Artik is a custom t-shirt printing shop with affordable prices, top-quality custom printed shirts and a professional team that will deliver your custom printed shirts on time, every time! That's our reputation and we work hard to keep it. Artik is known across Canada for our expert custom t-shirt printing team and our friendly staff. Just reach out to us and you’ll hear a helpful voice on the phone or get a prompt email in your inbox. That’s what makes Artik popular – our team is experienced through and through! From our front desk sales representatives, to our expert graphic designers to our awesome back of shop custom t-shirt printing team. 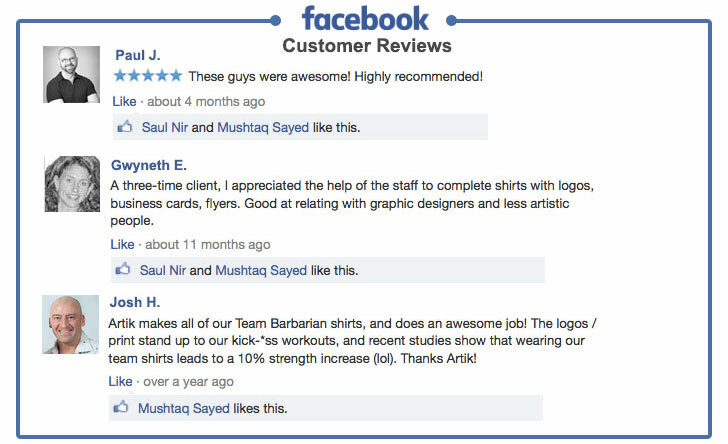 If you’re looking for custom printed shirts in Toronto, talk to Artik! You’ll find the best custom printed shirts and our friendly staff will make sure everything is perfect. Artik has built a reputation for well printed custom shirts here in Toronto, and we work hard to continue building that reputation. Just read our reviews on Google+, Facebook or Yelp! Customers keep coming back for custom printed shirts because our team puts your satisfaction first. Check out our satisfaction guarantee! Not satisfied? Contact our team and we’ll make it right! In the 33 years that Artik has been open and custom printing shirts here in Toronto, we’ve seen a lot of other printing companies start up and close shop. At Artik, we attribute our success and growth to our simple ideals – to satisfy all customers, large or small, to deliver custom printed shirts on time and to always be professional and super helpful. Just send us your design or t-shirt idea and we'll take it from idea to reality! Our friendly sales reps will help you place your order, our detail-oriented graphic designers will prepare your art file for screen printing, our experienced screenprinting team will squeegee each colour onto your t-shirt and the heater seals the print. When your order is done, you'll get a crisp box filled with vibrant custom screenprinted t-shirts. If you need custom printed shirts for your business, Artik can help make uniforms or promotional giveaway shirts with your logo on them. If you’re looking for screen printed shirts for a charity or large organization, Artik can print your slogan and art on colourful custom tees that match your branding to a tee! Looking for matching custom printed shirts for an upcoming family reunion? Artik is your custom printed shirt supplier! 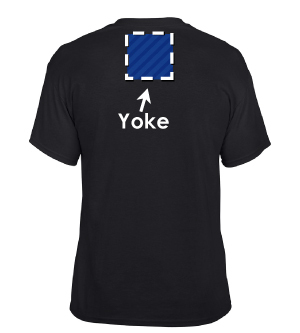 No matter who you are, when you want to order custom personalized shirts, know that the Artik staff will make your order easy and get you your goods on time and under budget. That’s the Artik way! 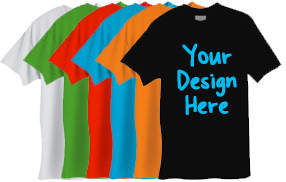 Show off your brand with custom printed t-shirts customized with your message or logo. Below are a few tips for designing custom t-shirts with your company branding, without breaking the bank. Tip 1. Put Your Brand on Customized Tees: Whether your company’s branding is powerful, whimsical or stylish, you should integrate that branding into your customized tee design. Use your existing logo, your packaging or a design from your marketing on your custom printed tees. 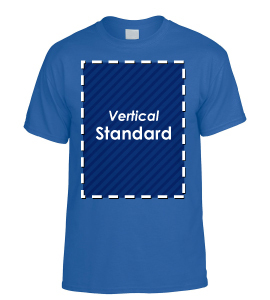 This will keep your brand unified and help customers recognize your company's custom t-shirts. Tip 2. Get Creative with Custom T-Shirts: Sticking to your branding is important, but don’t feel stuck with pre-existing logos and designs. Create limited edition customized tees for specific holidays, try alternate colours and fun slogans. With a mix of classic branding and creative alternative branding, your custom printed t-shirts will stand out. Tip 3. Give Custom T-Shirts Away to Customers: Special t-shirt giveaways are a great way to get your brand out there and build brand loyalty. Our t-shirt printing team will put your design on affordable, high quality customized tees, perfect for seasonal giveaways. Tip 4. 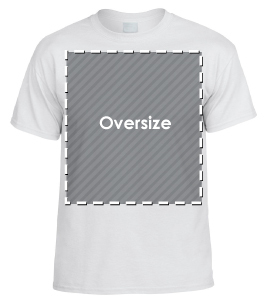 Create Customized Tees You Can Sell: Do you offer merchandise for your band, event or company? If you order from our tee shirt printing staff, you’ll have awesome merch that is profitable and helps spread awareness of your project! Tip 5. Consider Colours in your Custom Tee Screen Print: Screen-printing is an art form, our t-shirt printing team has spent the last 32 years finding the best equipment, ink and processes to create the best looking customized tees possible, and it all starts with your design. 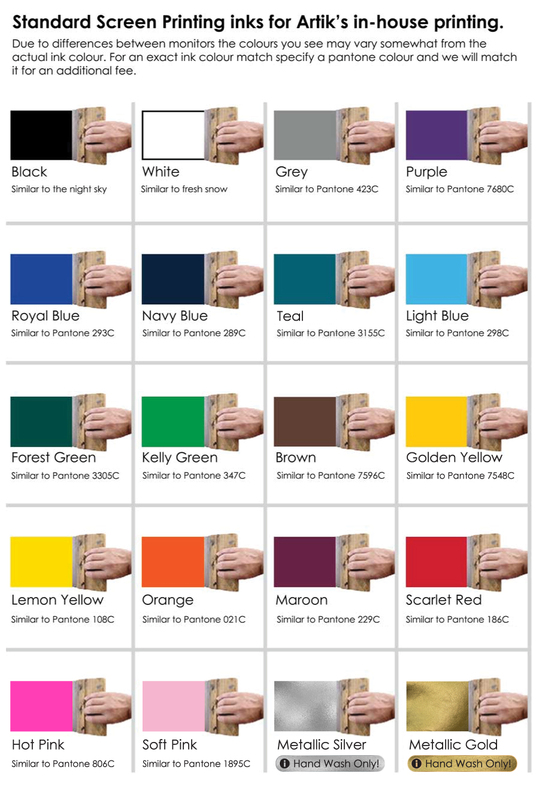 Consider the colours of the ink and how they will look on the colour of your tee fabric. Limiting colours can save you money and look great, but often a super colourful customized tee design will look awesome too. Again, consider your brand, budget and who you want to wear your t-shirts. Tip 6. Custom T-shirts As Uniforms: Are your staff looking professional? Give out well designed customized t-shirts and your brand will look awesome on the sales floor or behind the counter. Choose a custom t-shirts design that matches your branding so staff are easy to identify. Tip 7. Come to the Custom T-Shirt Printing Experts! At Artik Toronto, your customized tees are in good hands. Our t-shirt printing staff have years of experience, using the best equipment on the market. Reach out to our friendly sales reps to order your tee shirt printing design, we’ll make sure you’re on schedule, on budget and happy with your customized tees!